The Gravitational-wave Optical Transient Observer facility (aka GOTO) is a wide-field roboti c telescope that is able to rapidly search large areas of the sky for transient optical sources. 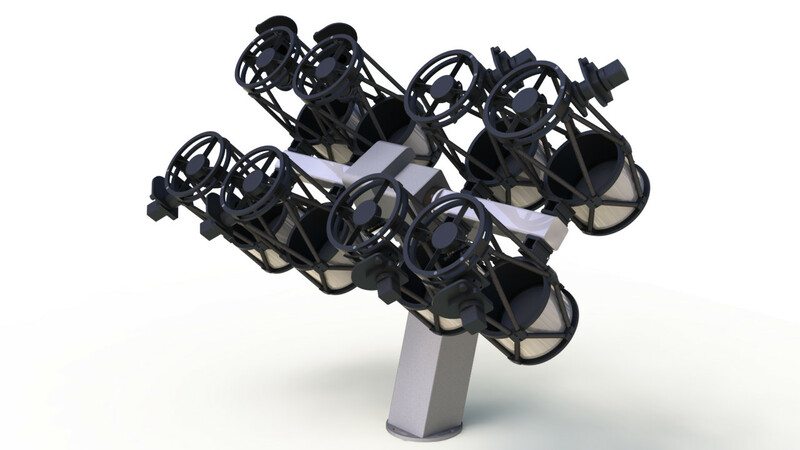 Its design is optimized to respond to gravitational wave events detected with the advanced LIGO and VIRGO arrays. GOTO will build on our heritage of developing small but highly capable purpose built observatories such as WASP and NGTS. Its basic design will consist of an array of small telescopes with a large instantaneous field of view. It will be capable of rapid response in order to cover irregular shaped error boxes on a short timescale. We have deployed the first phase of GOTO, funded via a Major Initiative of the Monash-Warwick Alliance as well as contributions from Armagh Observatory, Sheffield, Leicester and Thailand's NARIT. Our first phase consists of 4x40cm telescopes, adding up to a field of view of ~20 square degrees, located at La Palma Observatory. The design is scalable and we intend to expand the prototype into a larger array with a correspondingly large instantaneous field of view. First by adding four more telescopes inside the existing dome, followed by a 2nd identical set of 8 next to it inthe 2nd dome. This will allow us to quickly search the large error-boxes that are expected in the initial years of A-LIGO/VIRGO and also patrol the visible sky regularly. The project has signed an MOU with the Ligo-Virgo collaboration as part of the GW-EM follow-up program. In addition to the GW-EM effort, the project will offer a broad range of time-domain science opportunities. For more information, please visit the GOTO project website, our operational server or contact the GOTO Initiative leads Danny Steeghs (d.t.h.steeghs@warwick.ac.uk) and Duncan Galloway (duncan.galloway@monash.edu).